Get a professional sink repair by Clovis Plumbing Services! Plumbing problems are always annoying, often because you just don't know how to fix them. There really isn't that much that can go wrong with a sink, though, and usually, the repairs are quite simple. All you need to do is take a careful look at the the sink trying to find something that doesn't look right. After that it's usually a simple matter to go to a plumbing supply store and pick up the parts you need. Always know where the water shut-offs are in your home. There should be one under each sink and toilet as well as the main valve in your utility area. Any time you have a water leak, the first thing you need to do is turn off the valve. Practice in advance to know which way to turn the valve to turn it off. That way, if your sink is leaking, you'll be able to stop the water flow quickly. Water leaks are one of the most damaging things that can happen in your home. You need to have the skills to stop them immediately. Turning the water off will do that, but don't think that that in itself is going to stop the problem. In fact, if you turn the water back on before you repair the sink, it's going to start leaking again. If your sink licks around the faucet, all you need is a new rubber O-ring. Take the old one along to the store so that you can match it. This is a quick and inexpensive fix! It may be that the repairs your sink requires are not related to a leak. Maybe the problem is as simple as the sink not draining properly. The quickest fix for this is to add some type of drain cleaning chemicals. Try Drano or Liquid Plumber, into the drain and see if that will remove the clog. If not, you may need help in removing parts of the pipes under the sink in order to find the clogged area. Sinks are installed in the kitchen and washrooms. They have chic designs and moreover, they add perfect utility to the kitchen and the washroom. But, what if the sink begins to leak? Do you have any idea on what all it takes to repair the sink? If you don't then you ought to know about it right from the beginning. This is very important for you if you really want to repair the sink in your washroom or kitchen area. If you are not aware of the sink parts that otherwise make up a sink, then you ought to know about those parts in as much detail as possible. A leak can occur in any of the parts due to a small or big fault. The best way to know about the sink parts is to read through the user manual provided with the sink. The figures drawn in user manual will give you a handy view about the sink parts. To start a sink repair it requires that you have a better understanding of the type of leak. This is because different types of sink leaks require a different kind of sink repair methods. The leak in the sink can occur either in one spot or the base due to worn out of O-rings. You can easily remove the O-rings by twisting and pulling the spout. In case the O-rings are d in place, you need to apply extra force to remove them. With some of the leaks, the handle may need to be removed. There are two valves placed underneath the sink which regulates the flow of water. If your sink has no valves, then you need to shut off the main to stop the flow of water. In this way, you will save the precious water from getting wasted when the sink is leaking. Moreover, you'd easily handle the sink repair task. The floorboard beneath the sink might be damaged which is causing a persistent water leak. Or there might be the case where the sink has cracked from some portion. In either way, you need to check the fault in detail before correcting it. Is the sink repair getting too troublesome? In many cases you can easily perform the sink repair on your own. However, there are drastic situations where you need to hire professional plumbing services. Here are some things you should know about sink repair that could take a load off your mind. Some sink breakages are quite common and can be caused by a clogged drain or blockage. Other problems are more serious, such as a broken pipe or an actual break in the sink. It is important to identify this problem before you do anything. Can it be fixed easily? There are many problems that can occur with sinks which can be fixed quite easily. Calling in a plumber or buying an entirely new sink in the instance of a serious breakage may be your only recourse. However, identifying the problem and trying your hand at sink repair could potentially save you a lot of money! If you are planning to install a new sink or looking to repair the existing one; we can offer you the best sink repair. We also offer installation services to refurbish the look of your kitchen, making it look completely transformed. We are experts with years of experience in performing the sink repair work efficiently and at affordable rates. A leaking or broken sink can make the kitchen area standstill and non-functional. Leaking sinks also run the risk of damaging the kitchen cabinets and can make molds and bacteria grow faster. Not only it is hazardous to the health but will also need costly repair in the long run. 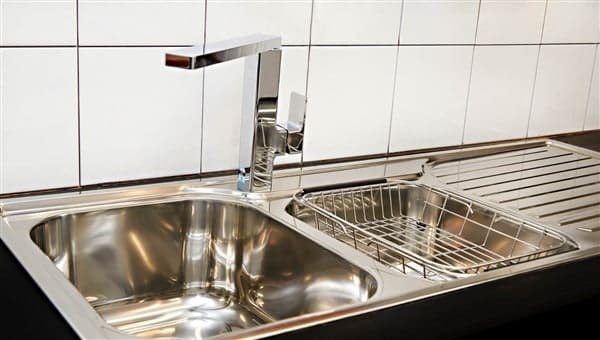 Our technicians at Clovis Plumbing Services ensure a proper kitchen sink installation without any leaks. We have many different options such as stainless steel, ceramic, stone, marble or granite sinks, in your home. With our rich experience in plumbing services, we understand the need for a properly functional kitchen.